On a day when Tiger Woods returned to golf’s summit, four clubs maintained their footing atop the BMW GAP Team Matches mountain. Reigning Playoff participants Huntingdon Valley Country Club, Llanerch Country Club, Philadelphia Cricket Club 1 and Philadelphia Cricket Club 2 emerged victorious in Week 1 of the event’s 119th playing. All will take a break for Easter Sunday (April 21) before the Playoff pushes continue in Week 2 (April 28). Defending champion Philadelphia Cricket 1 (1–0) started its quest for three straight titles with a 36.5–17.5 triumph over Makefield Highlands Golf Club (0–1). Philadelphia Cricket 1 countered such challenge with its unwavering depth. Boosted by the regular season return of Cole Berman, a two-time GAP Major champion and three-time Junior Player of the Year, it maintains a unified front that’s fostered four titles (2013, 2015, 2017-18) in the last seven years. In Week 2, Philadelphia Cricket 1 opposes Aronimink Golf Club (0–1), which fell to Lu Lu Country Club, 32.5–21.5. Aronimink appeared in the Playoff in 2014-15. Like its Cricket brethren, Philadelphia Cricket 2 overcame a difficult Week 1 hurdle in Running Deer Golf Club (0–1). It eked out a 29–25 win. Cricket newcomer Marty McGuckin, a reigning BMW Philadelphia Amateur semifinalist and 2016 Junior Player of the Year, provided a timely spark on the road. Playing in the first group, he posted 2.5 singles points and swept the better-ball portion alongside teammate Ed Robinson. Perhaps history helped; McGuckin captured the 2016 Christman Cup at Running Deer. Come Week 2, Feeney expects another tough battle in fellow unbeaten Tavistock Country Club (1–0), which edged Commonwealth National Golf Club (0–1), 30–24. Huntingdon Valley and Llanerch, respectively, held strong at home in Week 1. The former, on the wings of a 22-point output, defeated Division AA newcomer Old York Road Country Club, 32.5–21.5. A note on Butler (not Jimmy, the 76ers workhorse on Saturday): he teamed with Billy Reube, a late callup, to reel off a critical 2.5 better-ball points at Old York Road. Reube, moreover, swept his singles match. 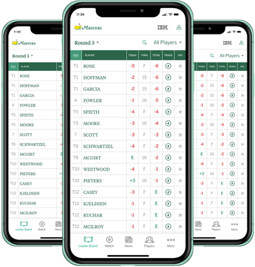 As a team, Huntingdon Valley hopes to issue an outstanding performance when it meets fellow unbeaten Glenmaura National Golf Club (1–0) in Week 2. Glenmaura, a 2017 Playoff participant, knocked off three-time champion (2011-12, 2016) Little Mill Country Club (0–1), 33–21. Llanerch, a Playoff participant three of the last four years, started its postseason voyage with a 38.5–15.5 victory over LedgeRock Golf Club (0–1). A whopping 25.5 of those 38.5 points came from the home team. Spano also credits Carlo Fitti and Brad MacDonald, who filled in for two of the team’s top players, Steve Seiden and Mike Quartermain, Llanerch’s reigning men’s champion. Fitti and MacDonald combined for five singles points. Llanerch will look for continued contributions across the board when it opposes Applebrook Golf Club (0–2) in Week 2. “Their greens are pretty treacherous as well, so I think it will come down to who plays their home course better,” Spano, 36, of Bryn Mawr, Pa., said. Regardless of home or away status in Week 1, all BMW GAP Team Matches competitors caught the Woods craze. From cellphone streams to grill gatherings to cart chatter, Tiger mania served as a backdrop on opening day. “We all played Junior golf because of Tiger. For him to come back is pretty awesome,” Spano said. Since 1897, the BMW GAP Team Matches has been contested annually, save World War II (1943-45) and the severe ice storm of 1994. The Association’s forefathers conceived the Matches to promote spirit, fellowship and camaraderie. It started with the four founding clubs — Belmont Golf Association (now Aronimink Golf Club), Merion Cricket Club (now Merion Golf Club), Philadelphia Country Club and Philadelphia Cricket — each fielding two teams with six players per side. First known as the Interclub Team Matches, the event changed to the Suburban League Matches in 1915 before adopting its current moniker in 1997. BMW returns for a fifth year as the event’s presenting sponsor. Celebrating Amateur Golf since 1897, GAP, also known as the Golf Association of Philadelphia, is the oldest regional or state golf association in the United States. It serves as the principal ruling body of amateur golf in its region. The Association’s 273 Full Member Clubs and 75,000 individual members are spread across the Eastern half of Pennsylvania and parts of New Jersey and Delaware. The GAP’s mission is to promote, preserve and protect the game of golf.